Family-owned and operated, Brother Wolf creates much-loved, one-of-a-kind jewelry pieces that feature religious-inspired themes from around the world. As part of their unique approach to jewelry making, the artisans at Brother Wolf do extensive research to make sure that every design reflects a piece's accurate story, as well as their philosophy of "fashion with meaning." Crafting intricate pieces in a style all their own, discover the pendant style necklaces and fine jewelry items of Brother Wolf today in the Exton and Newtown Square, Pennsylvania showrooms of BENARI JEWELERS. For over 50 years, BENARI JEWELERS has been one of the Delaware Valley and Philadelphia area's most dependable sources for contemporary designer-made fine jewelry fashions. As part of this commitment to service and selection, BENARI JEWELERS is pleased to present an authorized selection of some of the most popular, religious-themed pieces of Brother Wolf. As authorized retailers, customers to BENARI JEWELERS can rest assured knowing their pieces are totally-genuine Brother Wolf originals of one-of-a-kind style and elegance. Available today at BENARI JEWELERS is a sophisticated collection of extraordinary Brother Wolf fine jewelry pieces that trendsetters are sure to love. 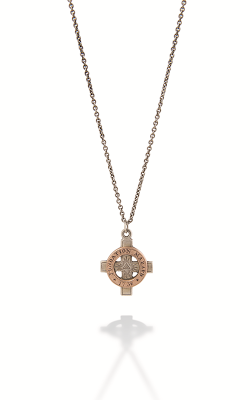 Made from high-quality precious metals including 14-karat pink gold, 14-karat yellow gold, and sterling silver (925), the pendant necklaces of Brother Wolf can be found at BENARI JEWELERS in an array of circle, cross, heart, pendant, and dog tag styles. 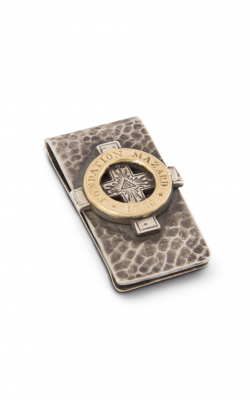 Additionally, to cap off every fashionable male's wardrobe, BENARI JEWELERS also extends exquisitely designed Brother Wolf cufflinks, money clips, and much more. Proudly serving the Philadelphia, Springfield, West Chester, Malvern, and surrounding cities, BENARI JEWELERS is the area's go-to full-service jewelry retailer. In addition to Brother Wolf, BENARI JEWELERS is thrilled to present an authorized selection of bridal jewelry, fashion jewelry, and timepieces from Forevemark, Breitling, Simon G, Tacori, ArtCarved, Hearts on Fire, and many others! Plus, committed to bringing a lifetime of customer satisfaction, BENARI JEWELERS offers easy financing, a free lifetime service plan, as well as expert jewelry and watch repair. Continually changing the collections on display, BENARI JEWELERS is the place to find engagement rings, wedding bands, timepieces, and fashion jewelry for everyone!